Mar 27. 2019 The imminent explosion in drone use will make our skies pretty crowded – so it’s essential the tools we use to manage our airspaces all work in harmony, says Todd Donovan - Thales Expert in Digital Aviation. We’re on the cusp of the biggest ever change in how humanity uses the skies. As significant perhaps as the birth of human flight itself. The ‘age of the drone’ is coming. The opportunities are huge. Whether it’s delivering an organ for transplant, protecting critical infrastructure or thrilling crowds in the Drone Prix – we’re only just figuring out what drones can do for us. But with these opportunities come big challenges – especially for those who manage our airspaces, and the operators who until now have had the skies to themselves. We are moving from a world where thousands of craft navigate the skies, almost all of them guided by human operators, to a world where there will be millions of craft flying together every day. From a world where commercial flying was the preserve of the ‘aviation industry’, to a world where the skies will be shared by many more users – who will all want to manage, monitor and schedule flights. And from a world of defined flightpaths between fixed destinations, to one where flights could be almost anywhere, at any time, through the heart of our towns and cities, streets and communities. This change is already underway. And the last few years have seen authorities around the world hastily responding to increased drone use with new legislation and authorisation procedures. But this often causes as many problems as it solves. In areas with dense traffic, authorisation is often required in writing. Meaning authorities are now swamped with paperwork. It’s a huge headache for them ­– and means in some areas, drone operators have to wait months for a response. And we have all glimpsed the chaos that could ensue if we don’t get a grip on unauthorised drones. At the end of 2018, the UK saw both Heathrow and Gatwick airports close in separate incidents involving ‘unauthorised drones’. And in February 2019, Dubai’s DXB – one of the world’s busiest airports – had to ground hundreds of flights in another drone incident. The estimated cost of shutdowns like these is around $1 million an hour – even without factoring in the thousands of people delayed, and the knock-on effect around the global transportation network. 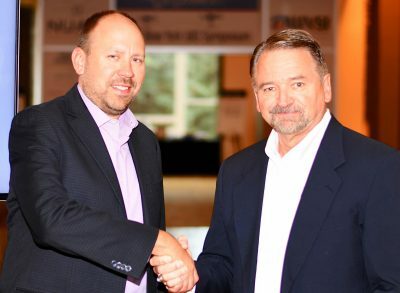 The first is the importance of setting global standards for UAS use. That’s why we’ve been involved in the development of the European ‘U-space’ programme to establish protocols for drone flight, tracking and information-sharing. And why we’re one of the few operators influencing the development of the first major ‘drone highways’ – such as the NUAIR corridor outside New York in the USA, the National Beyond visual line of sight Experimentation Corridor (NBEC) at Cranfield Airport in the UK and the Future Flight project in Singapore. The second is prioritising safety and security of existing airspaces and air traffic. That’s what has driven the development of our Hologarde security system. Hologarde integrates with existing critical infrastructure security systems, and is able to identify, track and even neutralise potentially hostile drones. It’s currently under trial at Charles de Gaulle airport. And the third is the development of a scalable, flexible and integrated way of managing our airspaces that meets the needs of all users today – and will be able to evolve as drone usage matures. This is our Ecosystem UAS traffic management. It’s a cloud-based platform that lets authorities, ANSPs and drone operators work in an integrated and collaborative way. Our UAS Traffic Management system lets ANSPs and authorities track and identify drones, monitor their activity, and deliver authorisations to drone pilots and users – all through automated systems that are securely integrated into existing ATM systems. Beyond managing the skies, Thales is also supporting drone operators with our Soarizon App that lets drone users manage all aspects of their fleets and operations - efficiently and effectively. So they can focus on their business needs. Getting flight authorisations in just a few taps is an example. These products and services bring together deep expertise from across the Thales group – from our long history in the aviation industry, to our innovations in digital technologies and Gemalto’s expertise with the secure identity management and Internet of Things. Now we’re really flying. We are at the beginning of a remarkable time as we explore together what drones can help us achieve. And human ingenuity is such that we’ll soon find many uses for drones that we can’t even imagine yet. But thanks to platforms such as ECOsystem, Hologarde and Soarizon, we can make sure that unmanned vehicles can take to the skies safely, integrate with current users seamlessly, and that we’ll be able to successfully adapt to wherever drones may take us. 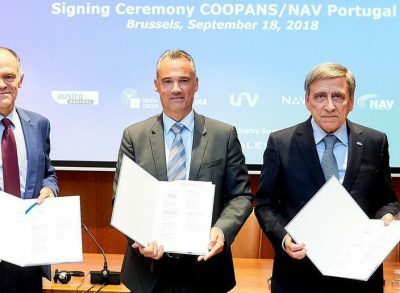 Nav Portugal officially joined the COOPANS (Cooperation between Air Navigation Service Providers) alliance on the 18 September.